Matteo Guendouzi has greatly impressed Unai Emery and the Arsenal supporters since his arrival. However, he has been severally told he has one weakness which he has to work on to become close to perfection. The youngster was one of five signings made in the last summer with him being the least hyped of them all. This was so because he was seen as one that would need to begin his transition process from the youth side. That was not the case eventually. Upon his arrival from Ligue 2 side Lorient, the 19-year-old quickly established himself as a first team regular. His exploits during pre-season and the early stages of the ongoing campaign changed the perception of many about him. It has become a "He will be a great one" talk rather than the initial "He is not the type we need"
One cannot have it all which is just the case with Douzi. He may have won the hearts of his manager, fans and other football lovers through the way he plays but the fact is that there is something about him he should work on and we have been made to understand that coaches at the club have sounded this into his ears on many occasions. Their worry is that he is not that reliable when it comes to tracking runs from the opposition. In all these, Emery is still in love with his positive mentality and character towards work. From his encomium, it is clear that those characteristics were what helped the midfielder's progress. ‘The first impression from him is very good,’ Emery said ahead of Saturday’s trip to Huddersfield. ‘We saw this from the first weeks of pre-season when he arrived here and started training. 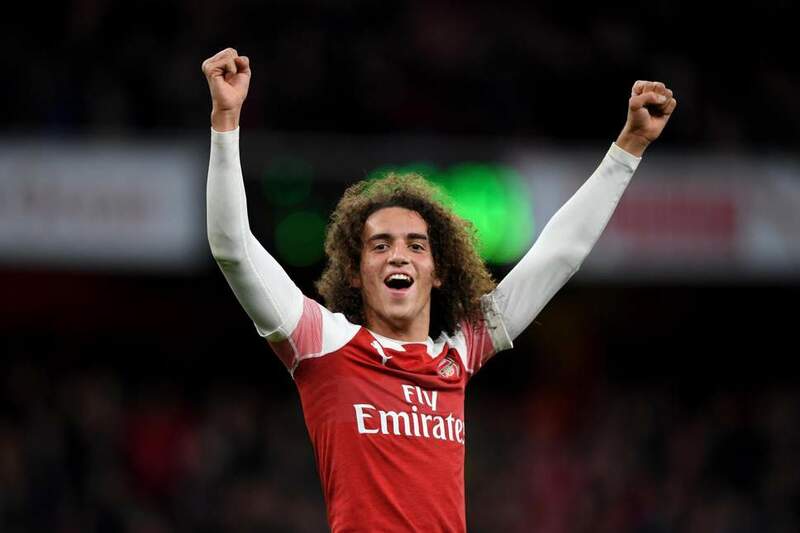 It was a negative that Arsenal lost to Manchester City last Sunday but an individual positive for Guendouzi due to his outstanding performance. He is expected to make the team that will play Huddersfield later today.